This is Dave's new favorite dinner, and thankfully it's easy to make. 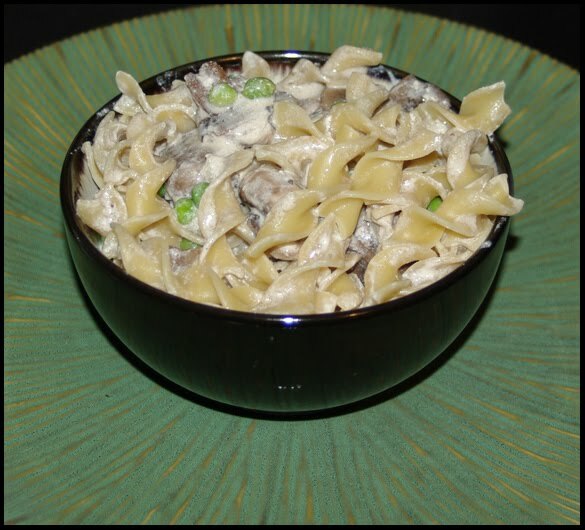 I didn't use a specific recipe, but basically I just sauteed mushrooms, added a small amount of broth and some sour cream to make a sauce, and then mixed that with the noodles and some defrosted peas. Yum! Here's a similar recipe that looks delicious. Use whatever mushrooms are your favorite.